A while back, I took a look at the RipperXL mouse pad from XTrac. I was very impressed with it and it became my mouse pad of choice. 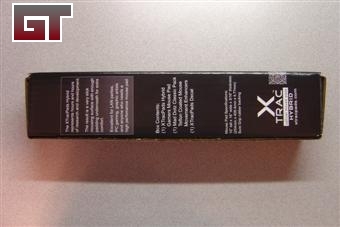 Now XTrac has sent over their new Hybrid mouse pad. 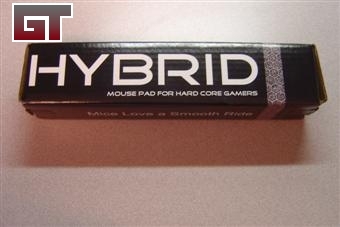 The Hybrid combines characteristics from both cloth and plastic mouse pads into one nice package. The Hybrid comes packaged in a strong cardboard box to protect it. As a bonus, you can save the box and use it to carry around your mouse pad for things like LAN parties. 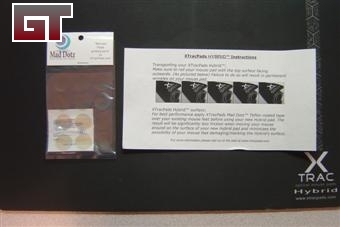 The box also contains some basic information about the pad and a website to go to for cleaning instructions. Inside the box there is the mouse pad, a package of Mad Dotz, an instruction sheet, and a sticker.